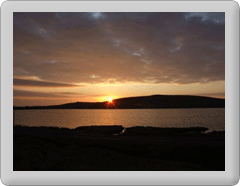 The only hospital in Shetland is located in Lerwick, 50 miles and 2 ferry journeys from Fetlar. For this reason, urgent cases are often evacuated by air. The hospital is able to provide a good range of care, but specialist cases are normally referred to Aberdeen or, occasionally, Edinburgh or Glasgow for specialist treatment. Shetland provides a very high standard of social care to its residents, with the local authority directly operating the vast majority of services, including care centres. The level of care which can be provided on Fetlar is, to some extent, limited as there are only a few staff on the island. People requiring a high level of care will at present have to be moved off the island, either to sheltered accommodation or to one of the care centres in either Unst or Yell, where 24 hour care is available.